CTP CTT CTX Series – BOILERSMITH LTD. 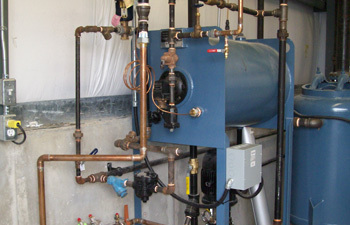 Whenever possible, the water from used steam, known as condensate, should be returned to the boiler. This condensed water is not only free from corroding minerals, chemicals and oxygen, but also carries a substantial percentage of the heat necessary to convert it back into steam. Therefore, every pound of hot condensate returned to the boiler saves fuel, prolongs the life of the boiler and reduces stress from cold water make-up. We specialize in customizing your equipment. Our condensate tanks can be configured to suit a wide variery of installations and specifications. We will help direct you to the most cost effective models and features.